Should there be any difference between the File TC on my Zoom F8 and the Audio TC on my Tascam DR680MKii when they are synced? Do Tentacles work better if you both devices are File TC only or Audio TC only? I’ve only had them 6 months so isn’t that a little soon to get them calibrated? Timecode is not a phase syncing signal. It is just for timing. It uses sync words as long as the frame rate is. At all times avoid recording phase coherent audio on more then 1 recorder if they are not word clock locked. Even if you sync them they will drift too if no word clock connection between the recorders is applied. Half a frame out of sync between audio and video is not very obvious, but between audio recorder that is a LOT. Great information! Thanks Fokke van Saane! One more question then. What piece of software do you recommend for perfectly syncing up the recorder audio with the camera audio? Either a standalone or plug-in for Pro Tools is preferred. I know I can line them up manually with Pro Tools but because this film is a 2 hour feature that would take me forever. I’m just trying to figure out the most efficient and effective workflow. Thanks! Always record audio on one recorder. Audio on camera is only for guide track. If you have to use multiple recorders make sure they are hard wire word clock connected as master/slave. If it is shot already and you have to deal with a fait accompli; then you have to do it manually shot for shot. Maybe you can use Vocalign for ProTools to auto sync it. 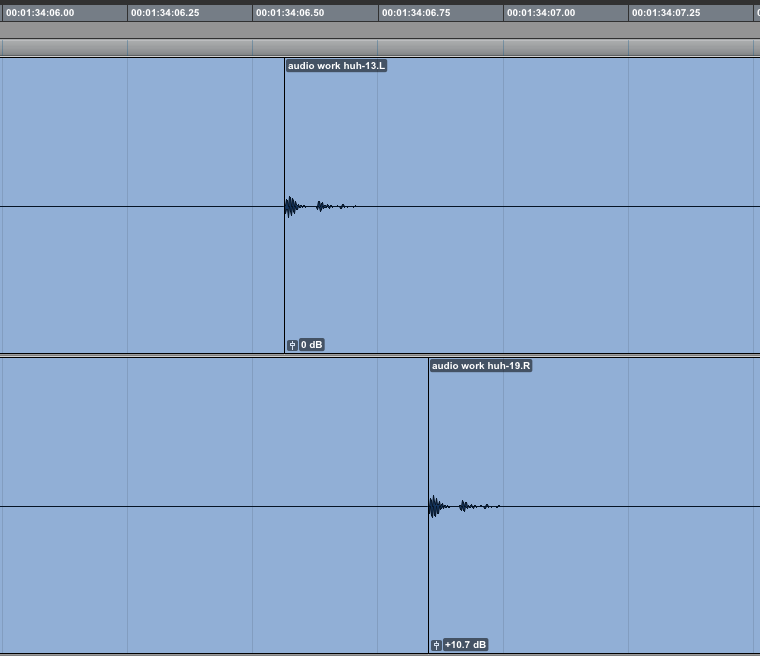 The thing is; you need sample accuracy if you want to line up audio from different recorders. Only audio editors will do that. Video editors have only frame accuracy. And, there is clock drift as mentioned above, so you’ll never get phase coherent unless you time compress/expand. Therefore; once and for ever; record audio on one recorder.